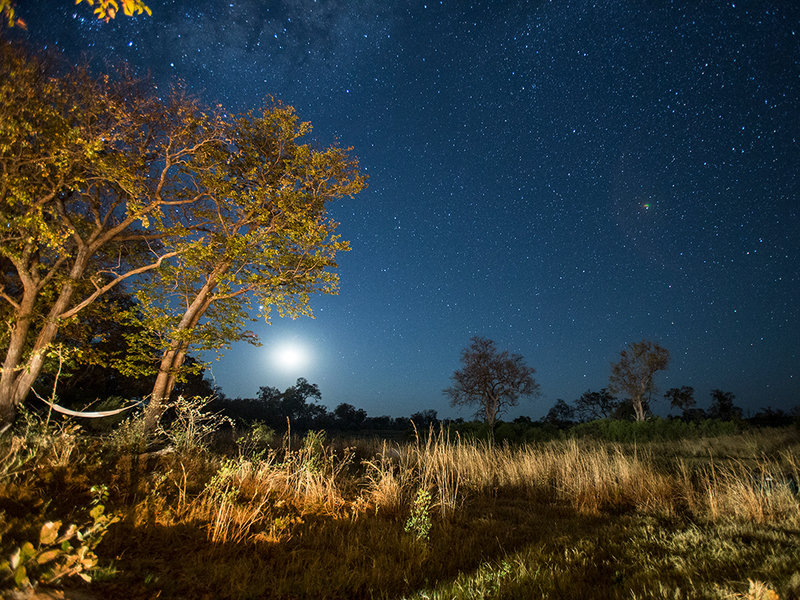 Located on a remote stretch of the Selinda Spillway, in the heart of the private 130,000 hectare Selinda Reserve, Selinda Explorers is an intimate camp designed in the style of the early explorers. 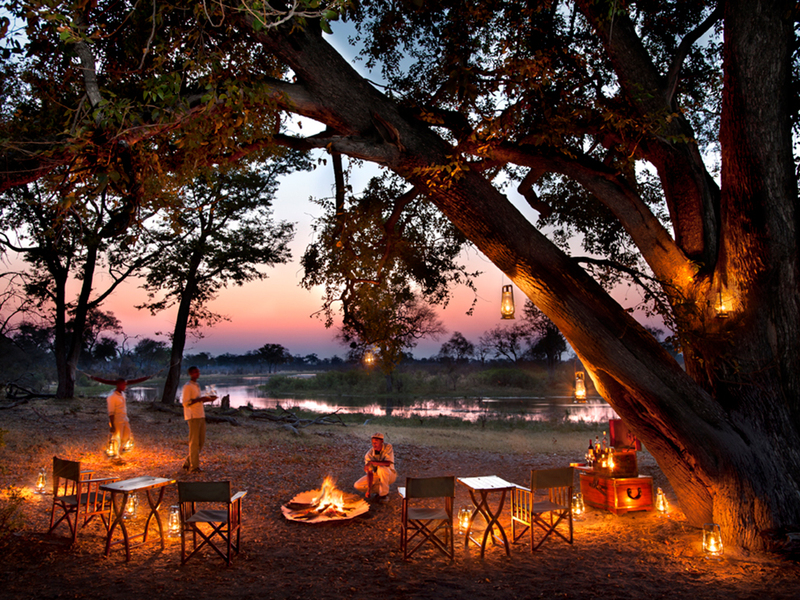 The camp’s magic lies in its expedition-style, with campaign furniture and vintage travelling trunks that lend an authentic, transient atmosphere to the camp. 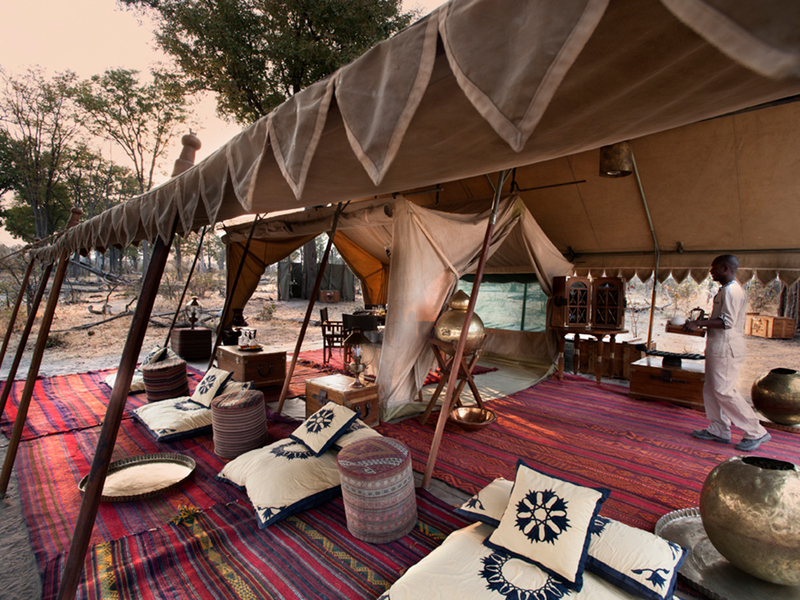 The camp’s focal point is the Bedouin-style main area consisting of a lounge and dining room. 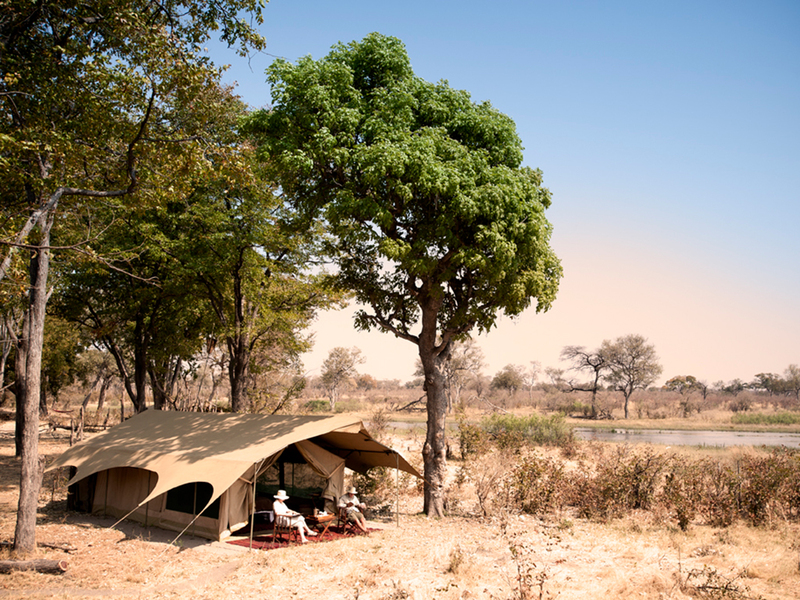 Under a canopy of jackalberry and mangosteen trees, the four canvas guest tents are raised just slightly off the ground, connecting guests with the pulse of the wild. 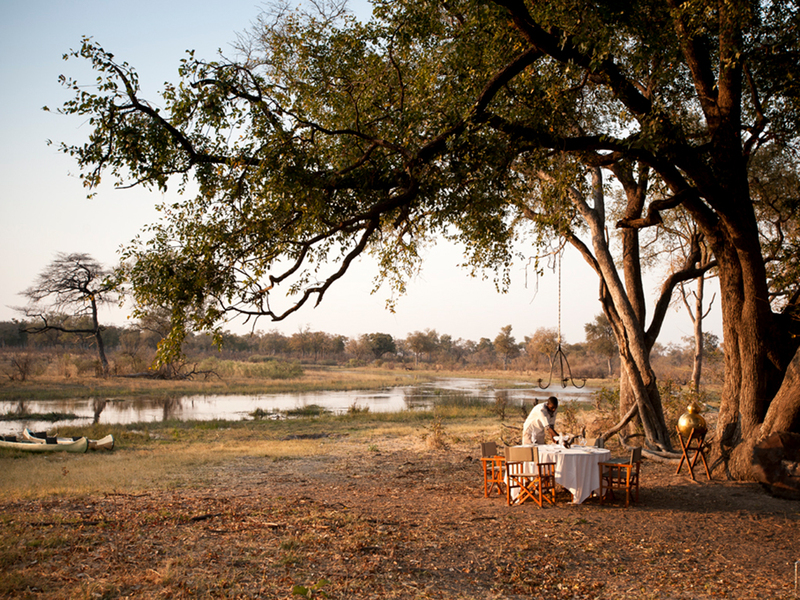 Rekindling the magic of safaris gone by, hot and cold water in the tents is provided in large jugs for the copper vanities. The separate en-suite flush toilet and shower area, although covered and enclosed at the sides, remains open-air. 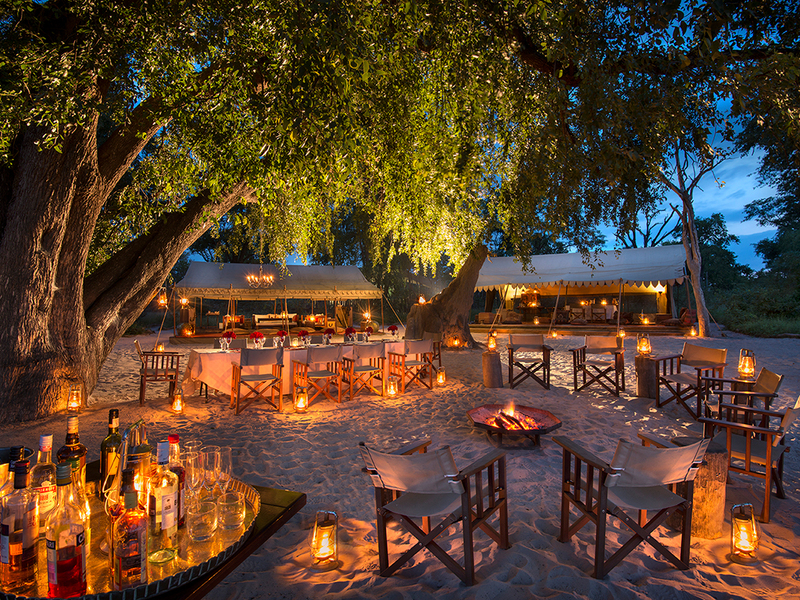 The atmosphere of the camp is one of bush elegance with a relaxed bohemian style, complemented by attentive staff, outstanding guiding and fabulous food. 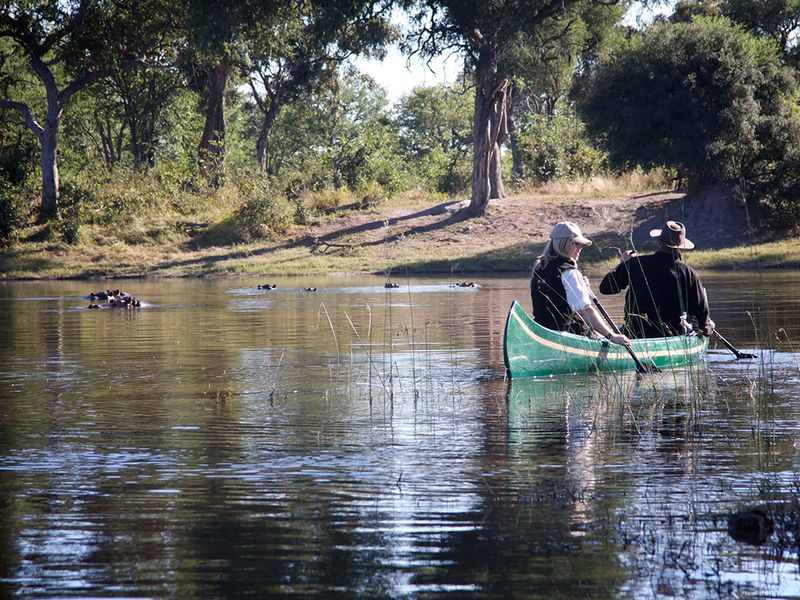 Wildlife viewing is focused on guided walks and canoeing (when water levels allow) in addition to drives, allowing guests to take in the smaller things often missed from a vehicle. 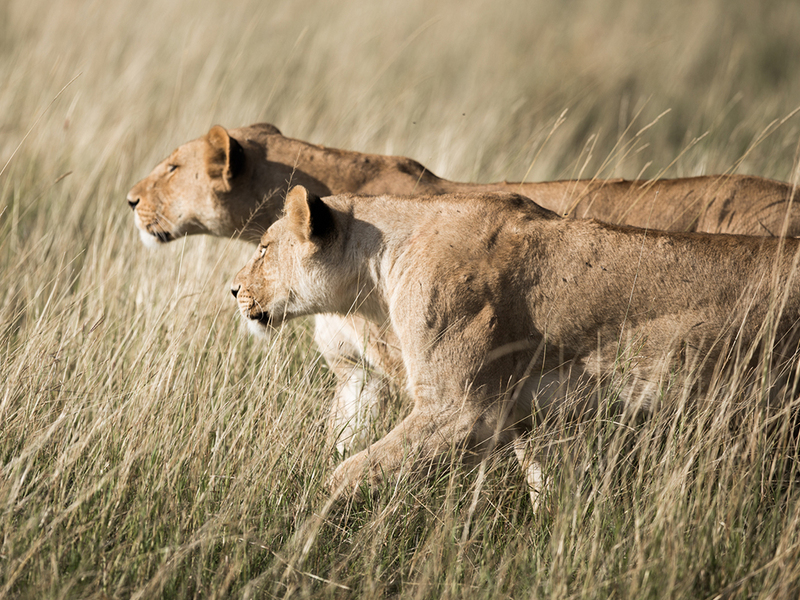 The area is also a wildlife hotspot home to herds of elephant and buffalo with lion, leopard, African wild dog and sable and roan antelope seen on a regular basis. 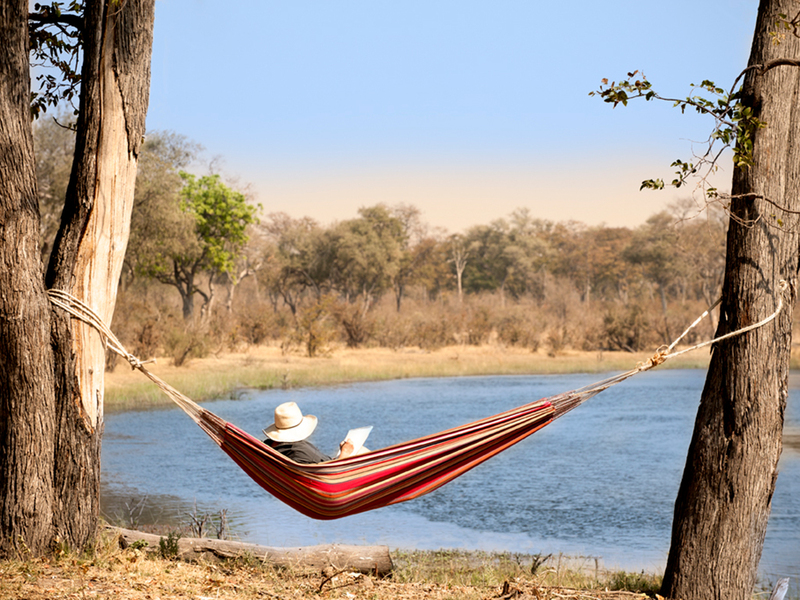 After days spent walking and canoeing, while away the heat of the afternoon in a hammock, the perfect respite from the ‘daily grind’ of a traditional safari. 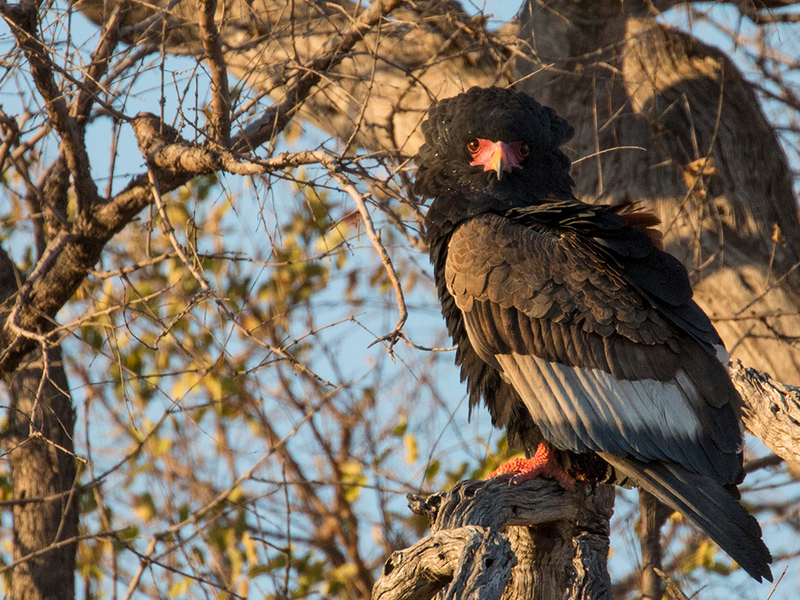 Fully inclusive of all wildlife viewing activities, meals, park fees, alcoholic and non-alcoholic beverages (excluding imported and premium spirits). 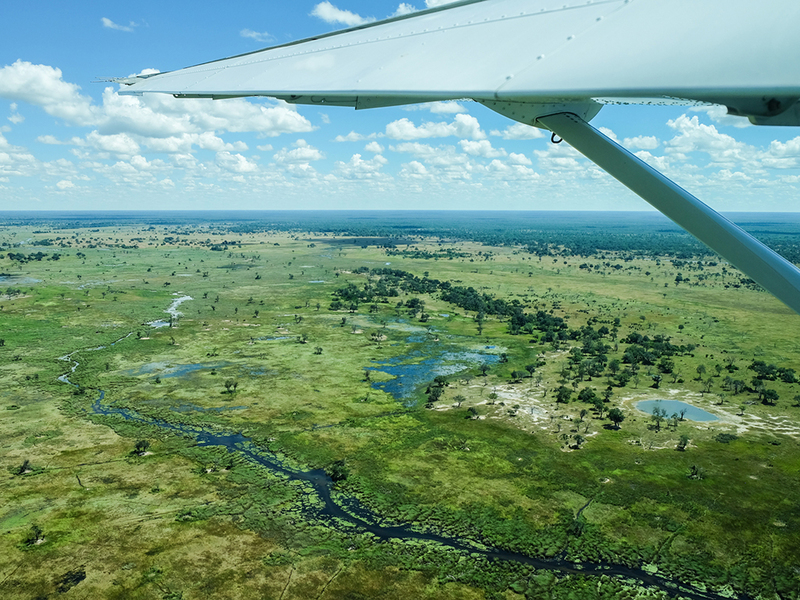 Flights are additional and can be arranged on your behalf. 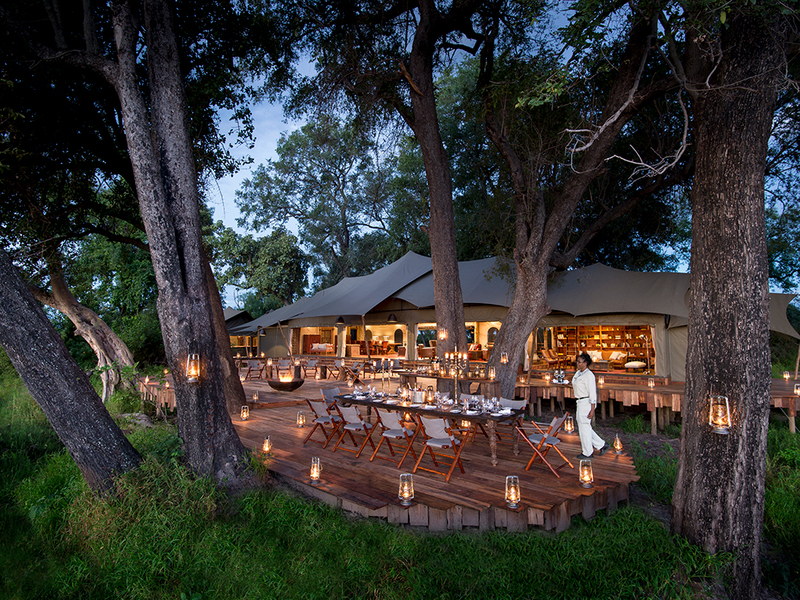 A maximum of 10 guests sharing 3 luxury tents and one 2-bedroom family tent located alongside the Selinda Spillway. 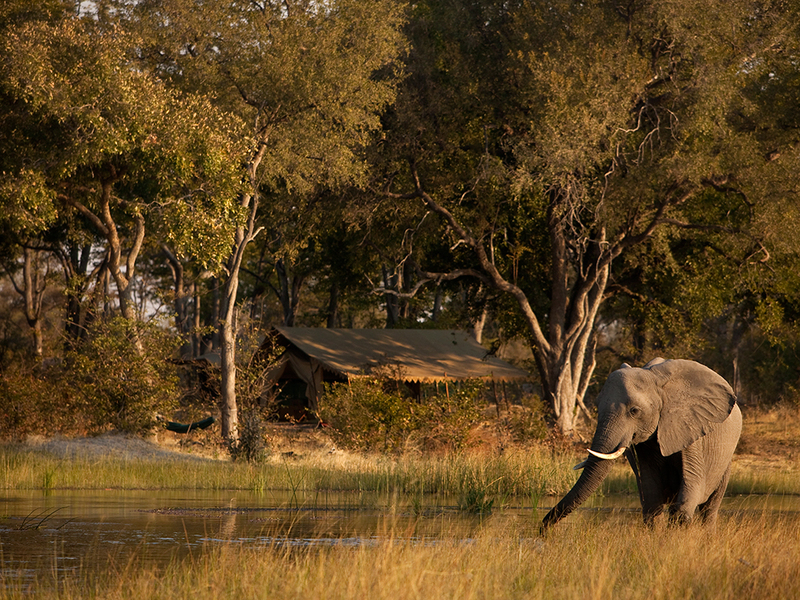 An additional guide’s tent as required is available. 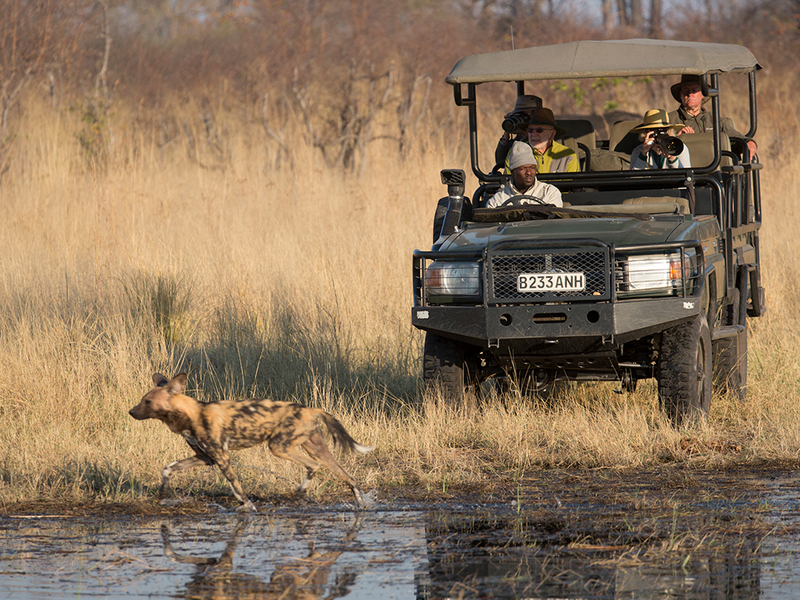 Early morning and late afternoon/early evening game activities to suit, including guided walking safaris, canoeing trips and game drives where required in open 4×4 vehicles. 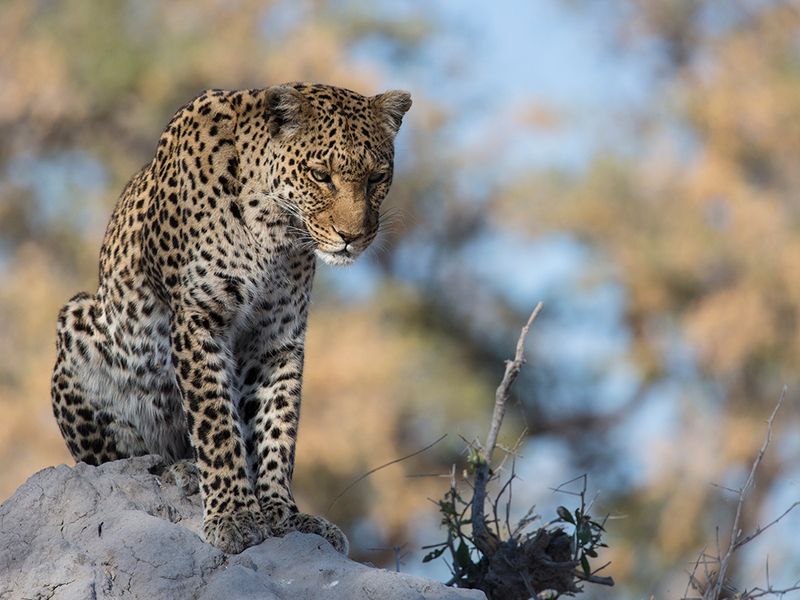 In northern Botswana in the heart of the private 130,000 hectare Selinda Reserve.